born in the Barycz Valley. 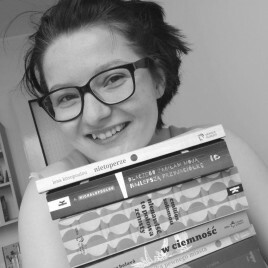 Publisher, editor, co-owner and editor-in-chief of the Książkowe Klimaty publishing house. During her studies, she wrote a lot about intertextuality in cRPGs, but instead of being a ludologist she became an editor. She has been working in the book industry since 2008, in the past she also worked as a book seller, copywriter and cultural promoter, mainly in the area of indie LARP games.